For special occasions, private dinner parties and special celebrations The Grousemoor Country House makes an excellent choice. The interior layout can be adapted to suit your requirements whether for formal dining, buffet or dance floor. The fully licensed bar separates the dining areas from the lounge with log burner. Whether you are organising a birthday party, anniversary celebration, hen or stag party, or another special occasion, we will work with you to create the perfect menu for you and your guests. 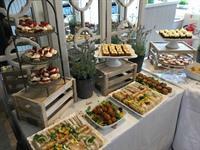 We can cater for groups of up to 40 for formal dining and 80 for buffets and casual bowl food selections. 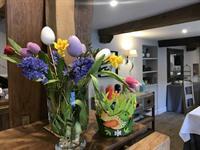 The Grousemoor Country House is the perfect place for families and friends to gather after a funeral or memorial service, when the last thing anyone wants to worry about are arrangements. We can host morning or afternoon functions for up to 100 people, and can offer a special funeral tea buffet, lunch or afternoon tea. We will work with you with selecting a menu. The fully licensed bar is also available. The venue is a quiet and peaceful setting for your gathering and we are hand to give helpful and sympathetic advice and first-class service on the day.